Minister of Energy Jeff Radebe told Parliament’s portfolio committee on energy that the fuel price in South Africa was at an all-time high, but that the country was currently at the mercy of international markets. Radebe was speaking to the committee in Cape Town on Tuesday. This meeting took place a week after the department failed to show up for a previously scheduled meeting. Members of Parliament were left fuming last week when the department failed to send a single delegate for the meeting when it was supposed to take place last week. Radebe was attending a South Africa Development Community Summit in Windhoek Namibia. It is still not known why nobody from the department attended. Radebe conceded that fuel prices in South Africa were at an all-time high and that government, labour, business and civil society were in agreement on the negative impact of the hikes. "Resolving this challenge is not a quick fix. It will require multi-dimensional efforts. There have been increases in fuel and Road Accident Fund levies, which Parliament also approved as government revenue generation measures," said Radebe. Radebe said the petroleum industry contributed 8% to the national GDP, employed over 100 000 people, had a turnover of R365bn per annum and R9.6bn in capital expenditure. Radebe said, as a country, South Africa relied on imports for most of its fuel demands, importing more than 90% of its crude oil from outside of the country. South Africa imports 49% of its crude oil from Saudi Arabia, 24% from Nigeria, 20% from Angola, 2% from Togo and 1% each from Equatorial Guinea, the United States, Cameroon and Ghana. "The main contributors to the fuel price are international factors - mainly the international crude oil price, the rand exchange rate and other factors, determined by international events. "Behind the fuel costs are the decisions of countries in OPEC [the Organisation of the Petroleum Exporting Countries]," he said. Radebe said between 2014 and 2015, crude oil prices crashed, but when crude oil prices rose from 2016, the wheels were set in motion for a rise in domestic prices. He said instability in Venezuela and production challenges in Libya also influenced the high fuel prices. "We must recognise that crude oil prices are cyclical. Had it not been for the recent rise among emerging market economies, we would have seen a downward revision in the prices of fuel," Radebe said. 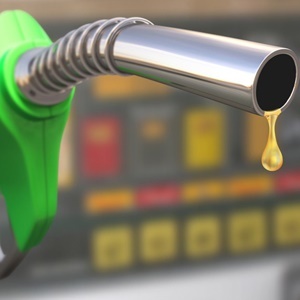 Deputy Director General of Petroleum and Petroleum Products Regulation Tseliso Maqubela said fuel price adjustments for consumers were applied retrospectively, meaning that adjustments will be based on the cost of bringing fuel to the country for the previous month. "Over-recovery means the fuel price of the previous month is effectively higher, and we have got the previous month where we incurred more [cost] than we should have. "The oil industry may charge us more than we should have incurred, and we determine that they should lose out. If they lose out for a month, we determine that we would adjust upwards. We have never got it wrong, not even by half a cent," he said. He said South Africa faced higher fuel prices than neighbouring economies because it was more advanced, with a more sophisticated road network, to which was added the fuel levy and the Road Accident Fund, as well as a greater demand for fuel. When deregulation was suggested as a measure to decrease the price of fuel, Maqubela said the fuel price had to remain regulated to protect the jobs of petrol pump attendants once operators inevitably moved to cut operating costs. Maqubela said until significant oil resources are found in SA, the country would be at the mercy of the elements that influence fuel prices. He said if we applied import tariffs on fuel, South Africa would have to establish terms of reference. He also pointed out that South Africa was increasingly importing oil from India. When asked why South Africa did not import more oil from African producers, the delegation said operators largely determine who they import from, and that African producers do not meet the global standards that international producers do. He said other factors that affected the fuel price included demurrage – especially related to the size specifications of vessels that carry crude oil, and thereby restricted from local ports – as well as insurance, ocean loss, stock financing and cargo dues, which inform the retail price. Responding to committee chair Fikile Majola’s concern about the department’s failure to show up for last week’s meeting, Radebe said officials had been disciplined for the absence of the department last week and that replacements would be appointed during their suspension.